iPhone has been a dominating name in the smartphone domain ever since its launch in 2007. We bring to you the various models of iPhone available for you to join the elite iPhone users club. Apple was a company dwindling at the cliff of doom, looming towards a certain bankruptcy and joining the likes of many software companies, which fell in the new era of Microsoft dominated PC world. However, Apple bounced back with the Macs, the Powerbooks, the iPods and finally the product which brought them their ultimate success the iPhone. Though Apple had ventured into the consumer appliances scenario in the late 1980’s, the official name of the company remained Apple Computer, Inc. up until 2007, when they launched the iPhone and changed their official name to Apple Inc. at the Macworld Expo on January 9. This itself shows the importance that Apple had given to iPhone, which has fared much better than its parent’s expectation, catapulting Apple to the third position in global mobile manufacturers (based on sales) in 2008. iPhone spawned three more iterations in years to come, with its dominance in mobile world not the one to be easily challenged. The fact that no one can beat the iPhone in the smartphone genre is becoming more and more evident, as all the rival products, launched by competitor companies, have failed to produce the mass following that Apple iPhone enjoys in all age groups and in over 80 countries across the planet. Let us take a look at various models of iPhones that are sold in the market. We start with the one who started it all, the original iPhone. Though launched in January of 2007, the first iPhones were officially released only on June 29, with two variants featuring 4GB and 8GB of storage. The phone featured the revolutionary (then unnamed) iPhone OS 1.0, which completely altered the way touch phones were handled. Weighing 135 g, the phone with the dimensions of 115 × 61 × 11.6 mm was made of aluminum, glass and plastic and featured a 2MP camera on the back with geotagging, but no video. The phone had a powerful 620 MHz Samsung 32-bit RISC ARM 1176JZ (F)-S v1.0 processor, which was underclocked to 412 MHz and supported by a 128 MB DRAM. It featured all the latest connectivity technologies, including Wi-Fi (802.11b/g), USB 2.0/Dock connector, Bluetooth 2.0 + EDR Cambridge Bluecore4. The phone communicated on Quad band GSM/GPRS/EDGE (850, 900, 1800, 1900 MHz). The audio codec used was the versatile Wolfson Microelectronics WM8758BG. But the most awe-inspiring part was its 3.5 inch, scratch-resistant glossy glass covered 262,144-color LCD screen, which featured a 3:2 aspect ratio and 480 × 320 px (HVGA) resolution at 163 ppi. The 4GB model was discontinued on September 5, 2007 before launching a 16 GB model on February 5, 2008. But the journey was short lived as the whole iPhone original range was discontinued as of July 11, 2008 with the iPhone 3G taking over the reigns. The second iteration literally took it to the big wigs riding high on its 3G-compliant technology and the iPhone OS2.0 (later upgradeable to iOS4.1). Though the phone was bigger than the original (now 115.5 × 62.1 × 12.3 mm), it weighed 2 grams lesser than the old phone, primarily due to use of only glass and plastic in construction. With extended battery life and storage options of 8 GB and 16 GB, the phone was an instant hit with the consumers; post its launch on July 11, 2008. The new phone featured Assisted GPS and Tri-band communication over UMTS/HSDPA (850, 1900, 2100 MHz) and came pakcaged with a set of earphones with mic. All other technical aspects were the same including the PowerVR MBX Lite 3D GPU, which powered the brilliant display, except that the audio codec was changed to a peppier Wolfson Microelectronics WM6180C. The iPhone 3G was available in two colors black and white for 16 GB variant, while only black was available for 8 GB models. The 16 GB version was discontinued on June 8, 2009, but the 8 GB model remained in production (mostly for non-US and non European markets) till June 4, 2010. The iPhone 3GS debuted on June 19, 2009, just 8 days after the plug was pulled on the iPhone 3G 16 GB model with 16GB and 32 GB models. It had the same dimensions of the last model, but the weight was back to 135g. The shift in weight was due to the new technical additions. The processor was upgraded to the 833 MHz ARM Cortex-A8 Samsung S5PC100, which was underclocked to 600 MHz and supported by an increased 256 MB DRAM. The graphics processor was also changed to the new PowerVR SGX535 GPU. This provided better imagery to the screen, which had an extra fingerprint-resistant oleophobic coating. The phone also introduced the revamped iPhone OS 3.0. The major breakthrough was the new 3.0 MP back camera with VGA video at 30 fps, geotagging, tap to focus, and focus, white balance, macro focus & exposure capabilities. The phone also added 7.2 Mbit/s HSDPA, Voice Control, Digital compass, Nike+ and Bluetooth 2.1 + EDR Broadcom 4325 to its arsenal. The new earphone and mic set also featured a remote. A new Audio codec, Cirrus Logic CS42L61 was also included. The 16 GB and 32 GB models were discontinued on June 24, 2010, while a smaller 8GB black model was launched as a lower end option to the debuting iPhone 4G. In the middle of 2010, amidst great expectations iPhone 4G was launched on June 24, 2010 with two variants; 16GB and 32 GB. Ever since its launch, it has met with positive reviews all throughout. This smartphone is an absolute gem. 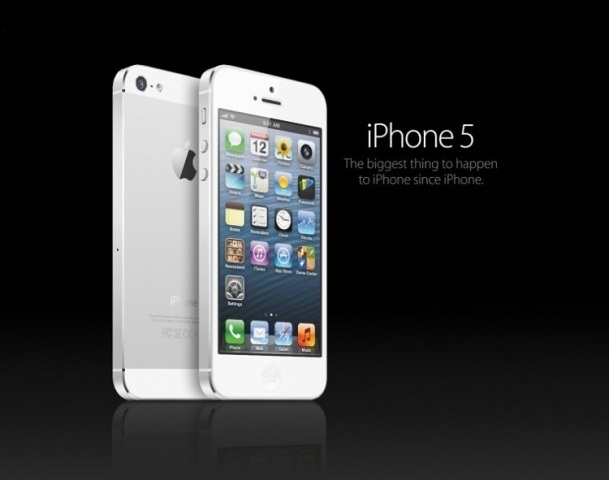 The phone available in black and white colors, featuring the iOS4.0 now upgraded to iOS4.1. The new Aluminosilicate glass covered display is of the same dimensions as the old one, but with an IPS LCD screen supporting a 960 × 640 px display at 326 ppi, with a 3:2 aspect ratio and 800:1 contrast ratio. Armed with Apple’s own (but Samsung manufactured) ARM Cortex-A8 Apple A4 1 GHz processor and a memory of 512 MB DRAM, this phone really kicks some serious smartphone bottom. The graphic processor used is the same as in 3GS. The phone jumped from the old triband to a Pentaband system with UMTS/HSDPA (800, 850, 900, 1900, 2100 MHz), and also added 5.76 Mbit/s HSUPA, 2.4 GHz 802.11n, 3-axis gyroscope, Dual-mic noise suppression and microSIM capabilities. The most important breakthrough was the introduction of the Rear 5.0 MP camera, which has a backside illuminated CMOS image sensor and LED flash. It is also capable of recording 720p HD video at 30 fps. Also the Front VGA camera with geotagging and tap to focus was a welcome introduction. The front cam can record videos at 480p in SD video at 30 fps. Though the phone is sleeker than its predecessors (115.2 × 58.6 × 9.3 mm); the weight of the phone is slightly increased to 137 g, due to all the additions and construction using Aluminosilicate glass and stainless steel.